I'm seeing hundreds of purge operations when i peruse the backup results by files. I have my settings for keep most recent 4 files -- but the purged files have not been touched. Ouch, is Cloudberry deleting my data? Probably not. Please post your complete retention settings and we can see if that is the cause. As an alternative, you can open a support ticket from Tools - Diagnostic (Windows) or Feedback menu option (Mac/Linux). Attached is a screen shot of my settings. If you're certain those files have not changed and all that's happening is the older versions are being removed, then I'd ask you open a support ticket so we can review the logs and see what's going on. I've studied the hundreds of my purged files more carefully. They are files that I moved from iCloud Drive to Office 365 Onedrive using the Mac Finder (drag and drop). The files themselves were not edited or even opened. Cloudberry purged files from the first location and backed them up after they arrived in the new location. Users may want to know if this is intended behavior. I had expected that the files at the first location would have been archived (or retained) in the Cloudberry backup and not purged since my retention policy is "keep 4 versions". How we handle Deleted files is something that is configurable in the product. Although, it seems the retention options for Linux/Mac are less extensive than the Windows version. I will have to speak with engineering for guidance on this. I'll reply back shortly. Can I ask you to check to make sure you are on the latest Mac release? I have a feeling additional retention options were added to that platform. The latest version is 2.7. I had Mac version 2.6.0.31 . I'll update to 2.7. 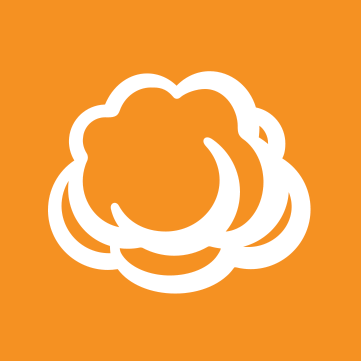 If you hear anything further about expected backup-retention behavior when moving files to a different cloud service (with local copies), please post. One more thing. The image you posted is from Settings and not the backup plan. Please post the retention settings from the backup plan as there may be additional options there we can discuss related to deleted files. Thanks. 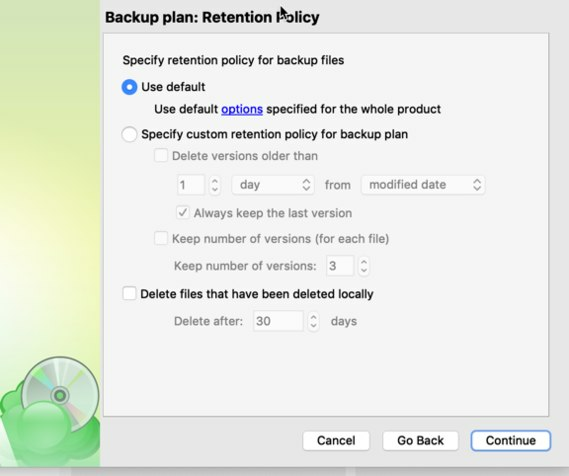 I'm using the application retention policy for this backup plan. See attached screen capture. I'd recommend you not use the defaults in this case if you see that in the latest version that the defaults do not include the option you see in your screenshot on how to handle locally deleted files. That option is explicitly designed to let you keep deleted files in backup storage or remove them after the specified period. 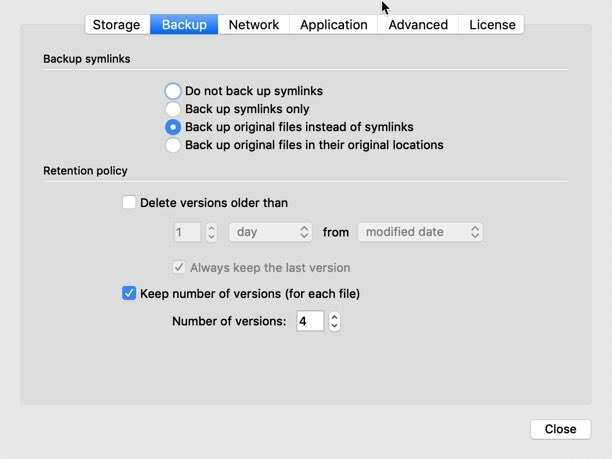 After you upgrade to the latest, check Settings and if the Retention options do not match what's available in the Backup Wizard, then use the Backup Wizard instead to manage retention.